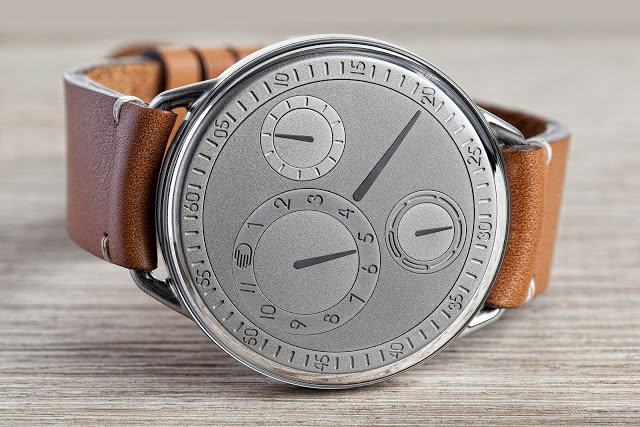 Ressence marks its fifth year with a purified version of its Type 1, the timepiece that established the signature look of the brand – an satellite time display and no crown. The Type 1 V Genesis has a titanium case that is machined on a multi-axis milling machine, and left as is. This leaves its surface marked by the subtle signs of machining, giving it the look of a prototype. The lugs flow seamlessly into the case, all part of the minimalist, organic design favoured by Ressence and its founder Benoit Mintiens. 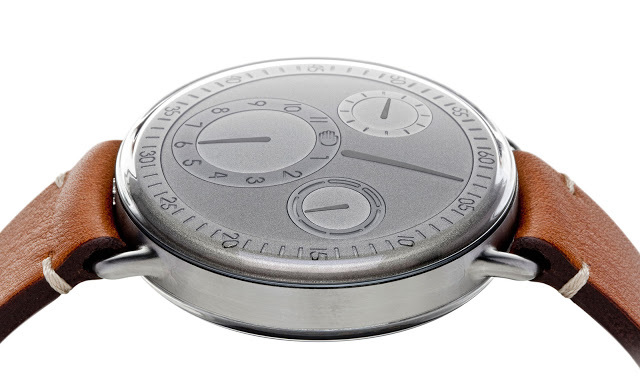 Similarly the dial is nickel silver with a frosted finish achieved by sandblasted, but otherwise unfinished. 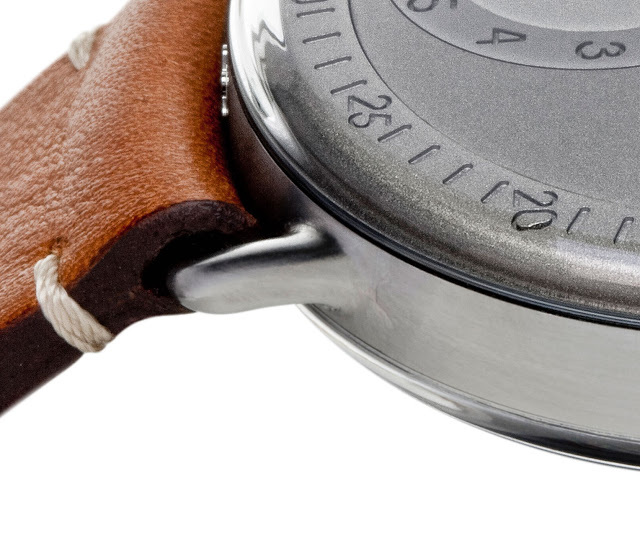 There is no paint or Super-Luminova on the indices and markings, which are engraved on the dial. The hands have been galvanised a dark grey for legibility. 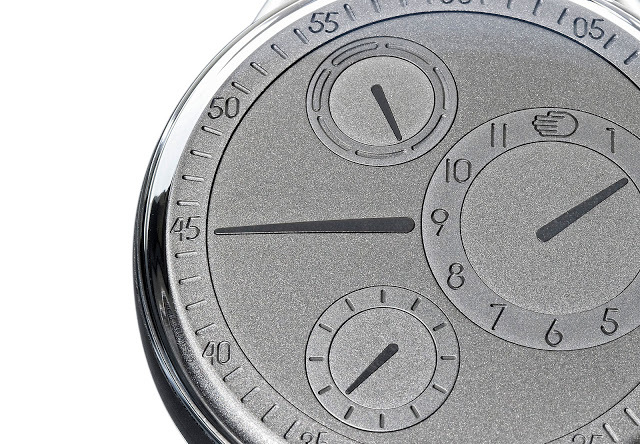 And the dial is slightly convex, echoing the curve of the domed sapphire crystal. Unlike the top of the line Type 3, the Type 1 has no oil-filled display, but it does have the brand’s key innovations, the ROCS time display and case-back functions. The time is shown with planetary discs, a system known as the Ressence Orbital Convex System (ROCS). It is made up of 107 components, with the entire dial rotating on itself, and each sub-dial making smaller revolutions to show the hours, minutes, seconds and day of the week. 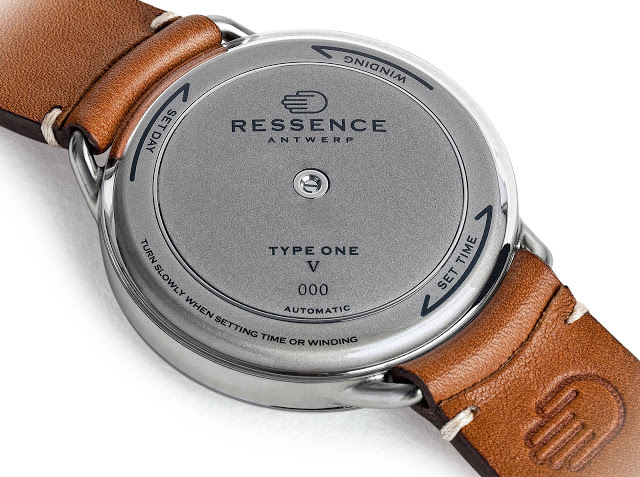 Like the other Ressence timepieces, the Type 1 V Genesis has no crown. Winding and setting are done via the case back which has gears inside that engage when the watch is flipped over. 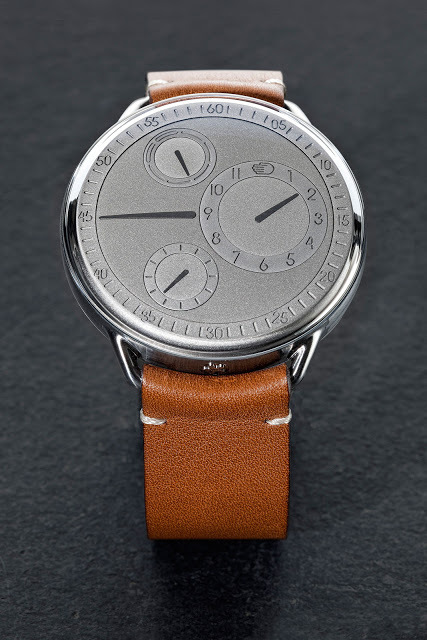 The case diameter is 42mm, and it’s fitted to an Barenia calf leather strap. The Type 1 V Genesis is limited to just five watches and priced at €18,750 before taxes. 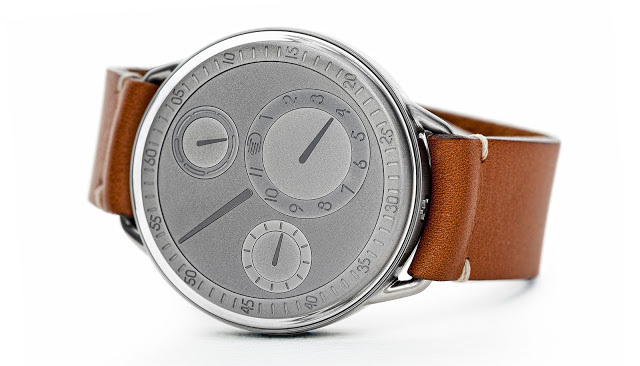 It’s available from Ressence or its authorised retailers.